Are you feeling stuck, like no one will ever see your art? Are you ready to get professional but don't really know how? 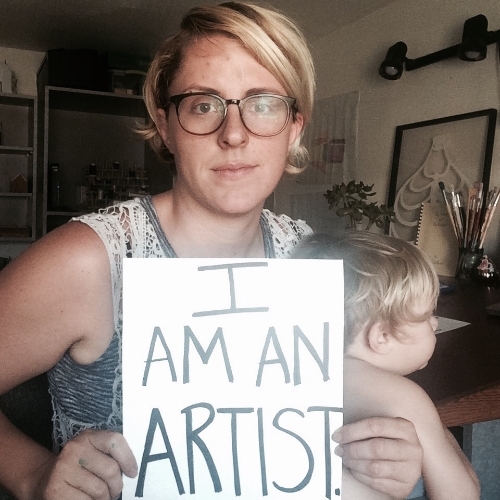 Are you tired of not getting paid for all the art you are creating? Are you just graduating from art school and not sure what to do next? I CAN HELP. In our sessions we will map out areas of focus and areas of concern. I expect you to come to the table with honest goals, passions, ideas, and artistry. We will quickly create a game plan and timeline that fits your lifestyle and strengths. Each package can be tailored to your specific point in life or industry trends. I am simply here to CONNECT and EMPOWER you to your next step as an ARTIST. Thank you for a risk on your career. I will be in contact with you shortly. I wanted to take a vulnerable moment to say out loud, "thank you and please continue to hold me accountable". As a freelance artist and full-time entrepreneur it's easy to discount your work, time, and worth. But as I have encouraged my clients and community I in turn was pushed to practice what I preach. I had to choose to celebrate! After reading the first blog TAX TRICK #1 hopefully you feel great about all the monies you received this year but it’s time to flip the coin and start to remember all the monies you spent this year. If you are a freelancer, the minimum amount of money you need to earn and to file a tax return is $400! BUT while the time does seem to slip away, it's easy to become sedentary. It's easy to get into a routine with your 3 clients, put your head down, and not see the light of day. I find it harder for artists to make boundaries since they have finally been released to work on the art and projects they have been most passionate about. Sign up to receive the weekly artists spotlight, trade tools, and templates for success!